The new model’s extremely sporty appearance is further enhanced by a contrast body kit that has the front splitter, side skirts and rear diffuser finished in the buyer’s choice from four accent colors of Beluga, St James’ Red, Hallmark or Cyber Yellow. 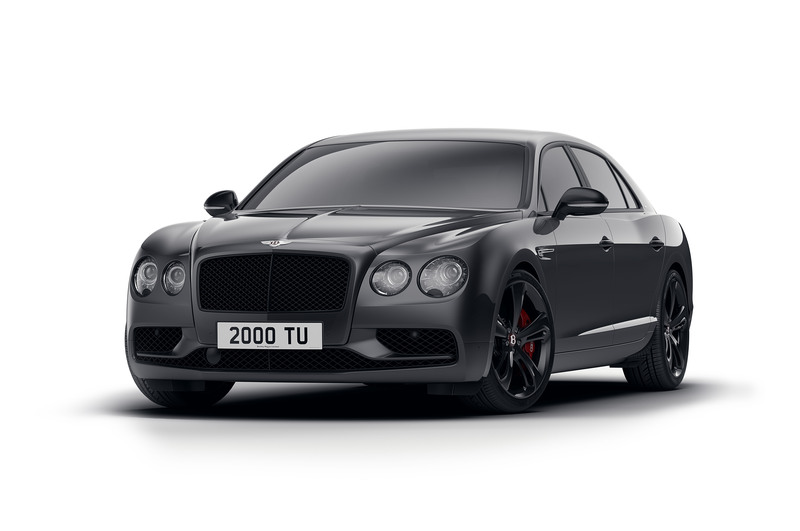 If you’re a Bentley fan but the Continental GT V8 S just isn’t quite special enough for you, the luxury manufacturer has now announced details of its Flying Spur V8 S Black Edition that builds on the regular Continental GT V8 S with a number of enhancements. If you’re in the market for a luxury performance sedan with an aesthetic that reinforces the performance aspect of the car, this could well be the model for you. There are quite a number of particularly striking exterior and interior features created by the Bentley designers that broadcast the luxury car’s sporty character. They include the likes of: black gloss brightware, dark tint lights, gloss black window surrounds and door mirrors, and some new, dynamic 21-inch seven-spoke alloy wheels that complement the not-inconsiderable amount of power developed by the V8 S engine. The interior boasts a unique color split with striking new accents that’s available to customers, although the three-spoke Sport Plus steering wheel and Piano Black veneer are part of the standard equipment list for the Black Edition. For those not familiar with the engine, it’s a 4.0-litre V-8 twin-turbo that produces 528 PS (521 bhp) and 680 Nm (502 lb.-ft.) of torque, which launches the Flying Spur to 100 km/h in 4.9 seconds (0-60 mph in 4.6 seconds), and onwards to a top speed of some 306 km/h (190 mph). All that power is then sent to the road surface via an all-wheel-drive system with a 40:60 rear-biased torque split for a sure-footed, engaging drive in all weather conditions and on all types of road surface. The new model’s extremely sporty appearance is further enhanced by a contrast body kit that has the front splitter, side skirts and rear diffuser finished in the buyer’s choice from four accent colors of Beluga, St James’ Red, Hallmark or Cyber Yellow. Customers then also get the option of either red or black brake calipers to complete the performance theme. In the UK and Europe you won’t see the price of a car like this widely advertised, but American dealers are not quite as reluctant and in the US the Flying Spur V8 S Black Edition is priced as starting at just over a quarter of a million dollars.